A night on the town or an event ? We pay a special attention to the latest collections of quality to be always at the cutting edge of fashion ! 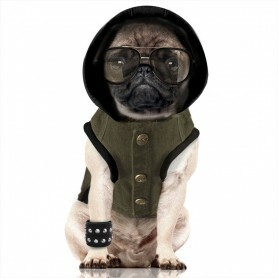 T-shirts, dresses, hats, sweaters or coats, the must-have of the ready to wear of high quality fashion for dogs ! Loobora selects for our four-legged companions T-shirts are comfortable, trendy and of good quality, particularly elegant in the latest collections. The arrival of autumn marks the beginning of the first cools when out of our favorite dogs. 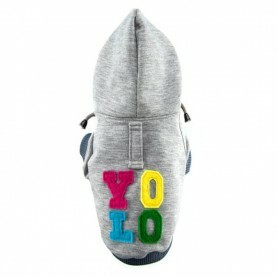 This is the reason why Loobora offers sweats and sweaters for dogs fashion and good quality. The rain and the cold do not encourage our dogs to accept willingly the outputs ! 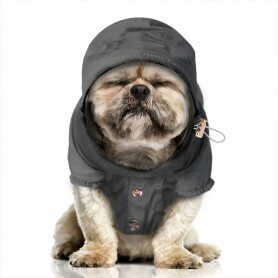 Offer them comfort and warmth through our coats and jackets for dogs of fine quality. 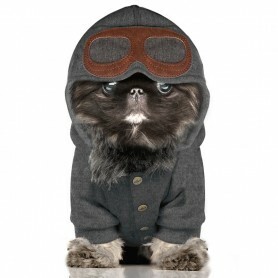 The ready-to-wear chic for dogs is particularly inventive. Loobora offers a range of accessories for dogs, socks, slippers, hats and other hair accessories for our companions. 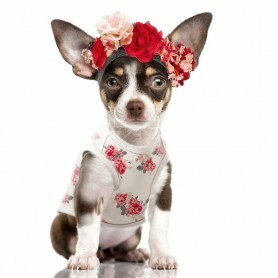 Buy your dog this T-Shirt in off-white cotton with pattern floral vintage for an on-trend look for any occasion . 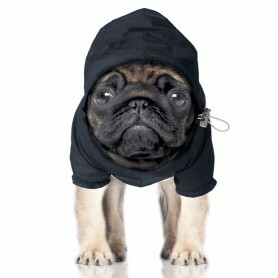 Offer this Sweatshirt for dog in cotton khaki and fleece black very trendy for walks in comfort and warmth. Offer this cutting wind for dog ideal for protecting against the wind and the humidity of the mid-season, especially stylish with its navy blue and its crest.